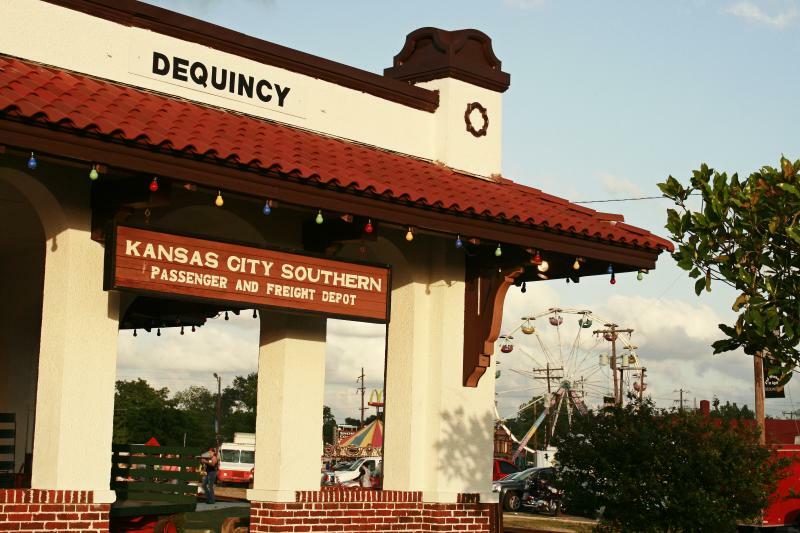 The DeQuincy Railroad Museum is more than just a museum full of railroad artifacts and information, it is also a great place to watch the Kansas City Southern Railway in action. KCS' tracks pass on three sides of the depot: the Shreveport to Beaumont main line track on the north side, the Lake Charles cut-off on the south side, and the through line to Lake Charles on the east side. 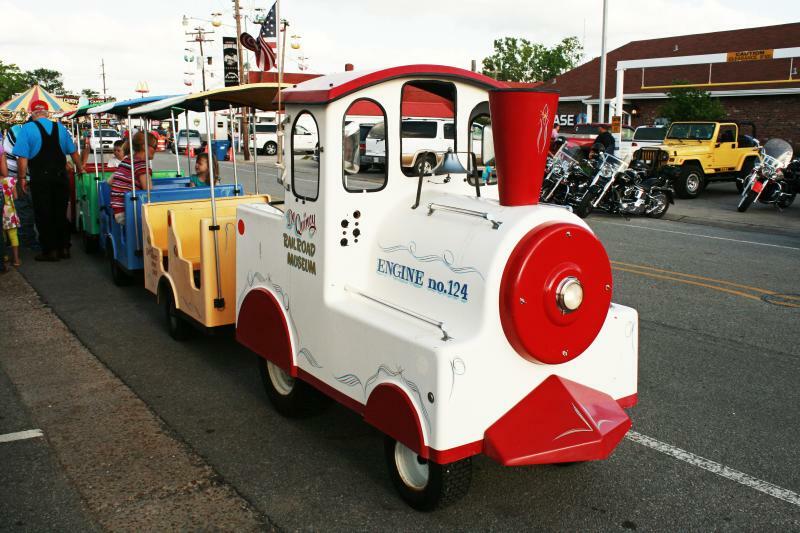 You can watch trains from the covered seating area at the west end of the depot, or at other places around the depot and adjacent park grounds. A good all-weather location is our train-watching platform, otherwise known as ours stage, at the east end of the depot. It is a great spot for pulling up a chair with friends and enjoying passing trains. Another good train-watching location is at CS Junction on the KCS about a mile west of the depot. This is where the east-west Union Pacific tracks from Kinder (and beyond) merge with KCS tracks for the shared trackage journey to Beaumont, Tx. 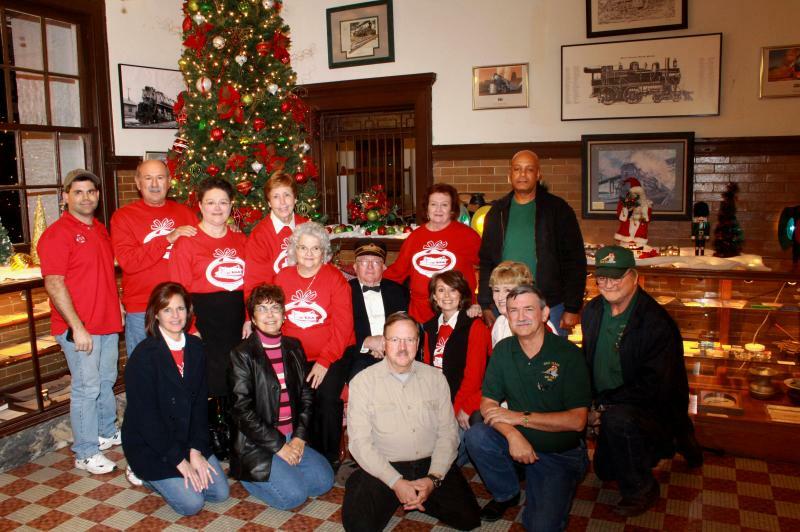 During the Christmas season several city functions revolve around the museum. 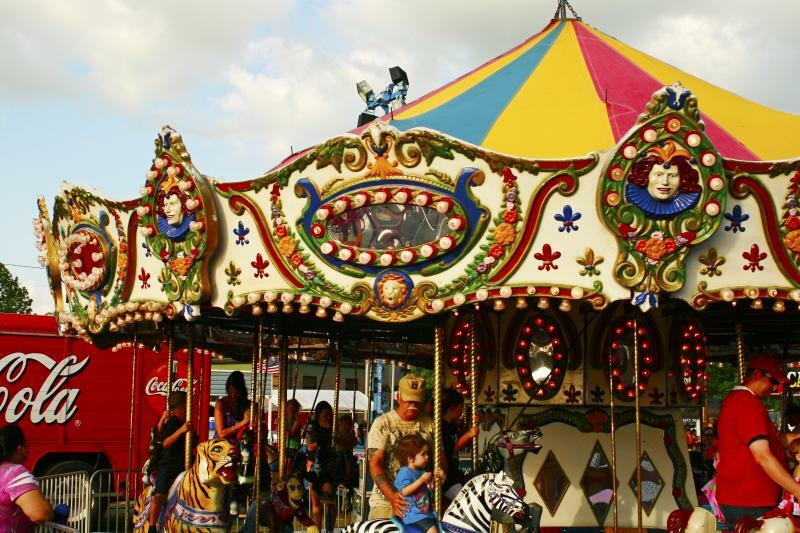 Our museum is the home of the Louisiana Railroad Days Festival with tons of fun and excitment for all ages. 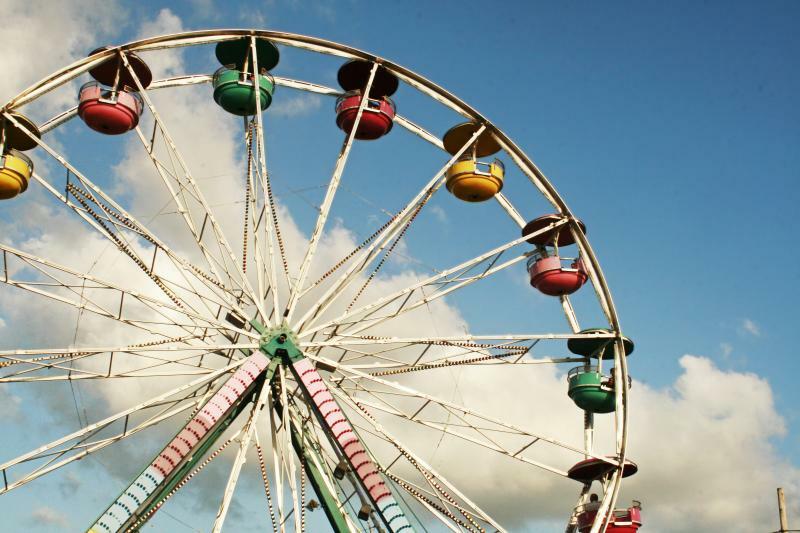 The festival is held the second weekend in April of each year. 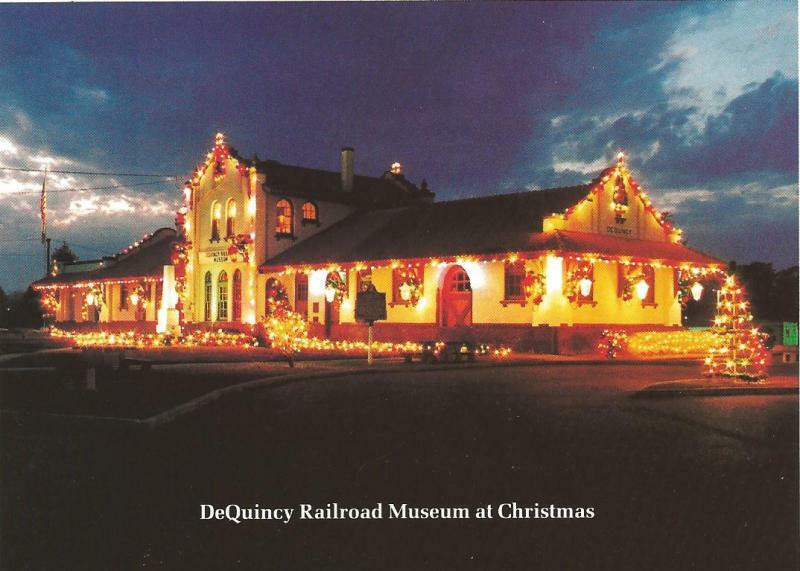 The DeQuincy Railroad Museum is a great place to research local Kansas City Southern and Missouri Pacific railroad history among the many records, photographs, timetables, employee information and other items in the Museum's possession. We also have records and other information for railroads outside of the Southwestern Louisiana area. 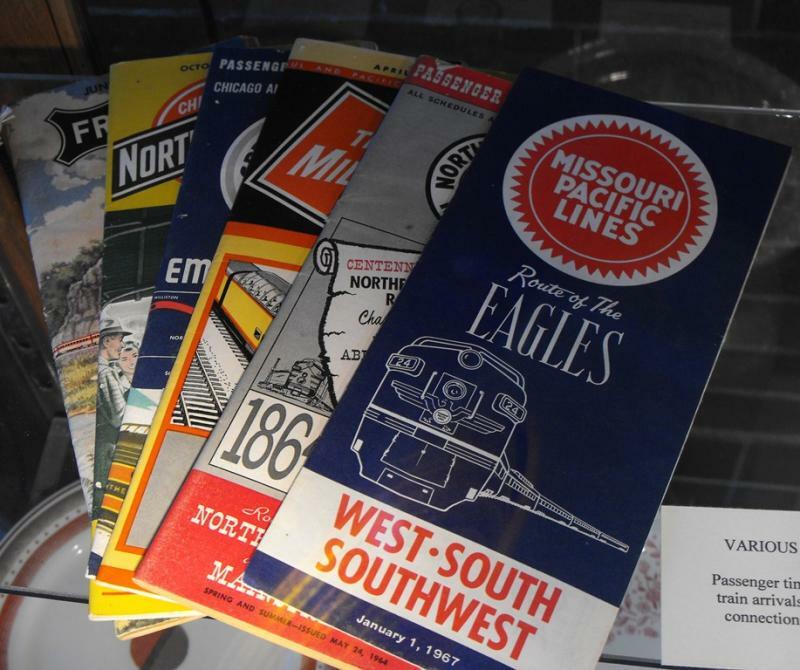 Our library books on general railroad topics and other specific topics, both those in our Reading Library or stored upstairs, offer glimpses into what railroading was like in the past. If you have a particular topic in mind, call us and we will see if we can accommodate your request. The museum and grounds are beautifully decorated during the Christmas season. 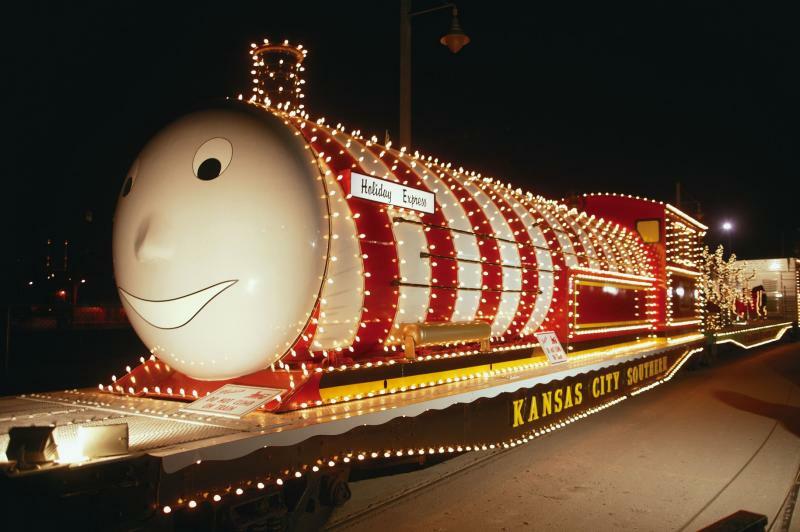 Children come from all around to visit the Holiday Train when it makes scheduled appearances in DeQuincy.